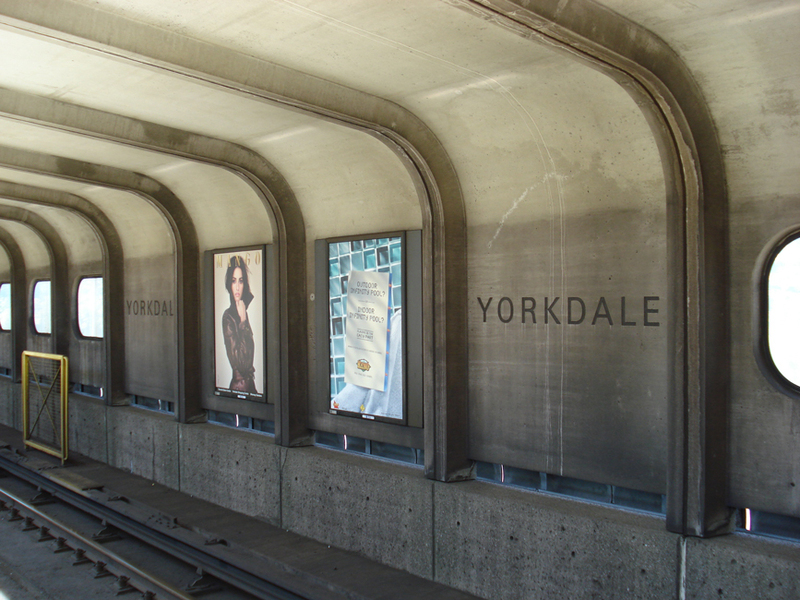 TTC: Yorkdale Station - Strasman Architects Inc.
Eglinton West and Yorkdale stations on the Spadina line were radical departures from the Yonge and Bloor line stations in existence at the time. 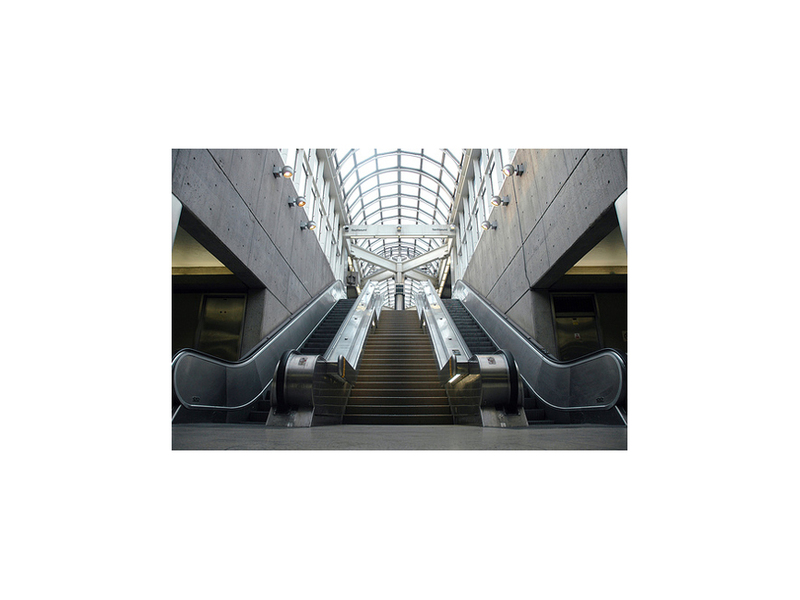 The stations introduced high volume spaces, skylights, integrated cold cathode lighting, artwork and—in the case of Eglinton West—a sub station and control room. 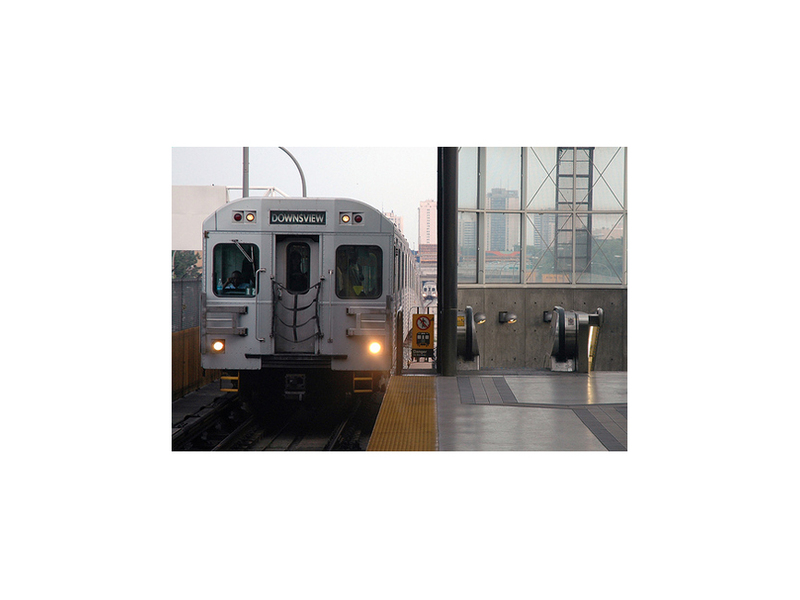 Eglinton’s design is an exercise in the total integration of engineering, art and architecture. 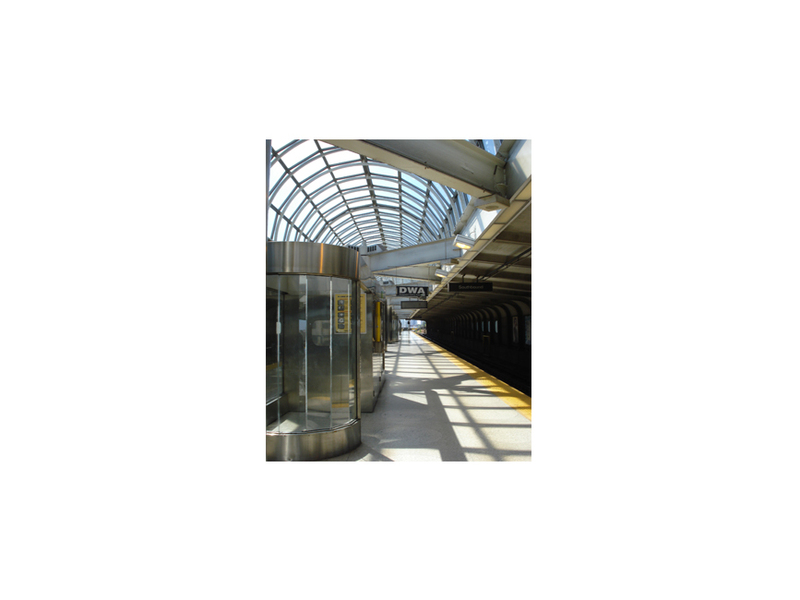 A bus loop surrounds the station, and a 26’ arrival hall provides the only dramatic point of arrival on the line. Charles Patcher’s porcelain-enamelled tiles decorate the two main double-height walls and depict Toronto’s famous Red Rocket Street Cars. The platform structure is as bold and unique as the station house. 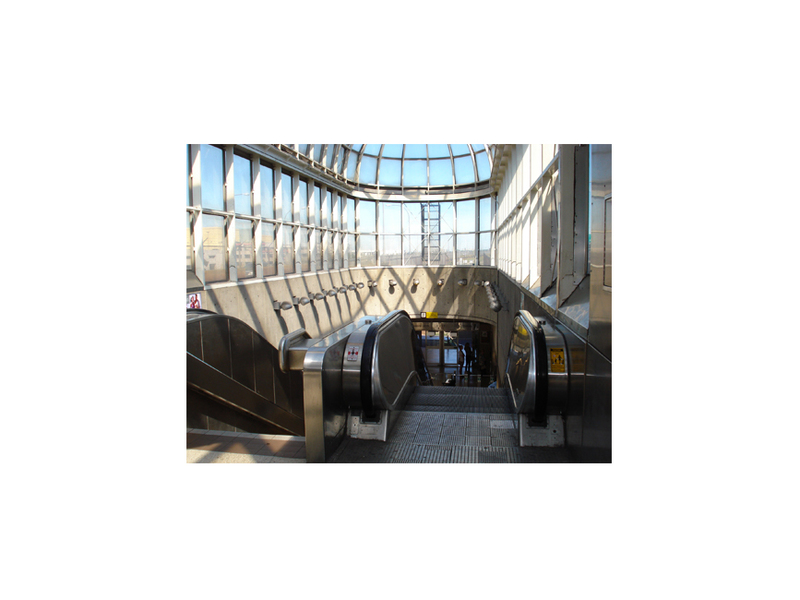 A mezzanine crossover gives commuters a view to the tracks below and a sense of orientation. The muscular use of concrete includes a giant space-frame roof that incorporates specially designed lighting and signage. The entire station remains a work of art, although the cold cathode lighting has since been removed and replaced with standard 4’ fluorescent tubes.